How can I contact AFERON? AFERON is a modern game portal devoted to casual games. There you can find a great variety of free download flash games, which you are able to play right there at anytime. Our website has a huge collection of online games and free download games. Every game can be played absolutely for free for one hour. But if this or that game win your heart you can easily purchase for $9.95 or even less. New games are released every day and night, so every day we upgrade our game list with fresh free download games, just for you. If you have any notes, questions or offers for us, use the contact form functionality or send an email to contests [at] aferon.com. 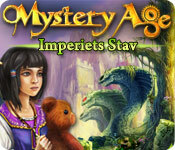 If you want to be always aware of our new games, you can set an alert to follow any fresh game on AFERON. How is it possible? Just click the alert link beneath the preview description. Choose the most convenient way of being alerted about soon coming game: via notification on your profile page and/or email. Do you like our review, preview, strategy guide, or article about a casual game? Do you want to share it with your friends or somebody else? No problem! We have several available ways to share our review or your own user trip or forum topic with the whole world. If you have a Facebook or Twitter account, click the Facebook or Twitter button on any page of our site, go to your account and share with your friends. We highly appreciate your sharing because the more you tell your friends about us, the better it is for AFERON. Later we are going to add more ways to share content posted on AFERON. As any modern game portal AFERON widely use a «Try-before-you-Buy» system. According to this system, you can easily download one of our casual games and play it absolutely for free one hour. When a one hour free trial game is over, you will be offered to buy the full version of this installment. You are easily able to buy the full version of any game right from AFERON. As soon as you pay for the game, you'll get a special key to unlock this trial version and then can enjoy the full version of this game. Facebook Connect is a way to sign into AFERON with your Facebook account and tell your friends and members of your family on AFERON about your activities there. If you want to use this option, click the Facebook Connect button, which you can find in the upper right corner of the our website. Then you should enter your Facebook nickname and password, and follow the instructions to connect it with your AFERON account. If you do not have a AFERON account, you will be offered to create a AFERON nickname. Once you use Facebook Connect, you can sign into AFERON with your Facebook account at anytime.